Home » News » Select Box now in the Disney Tsum Tsum Japan App! 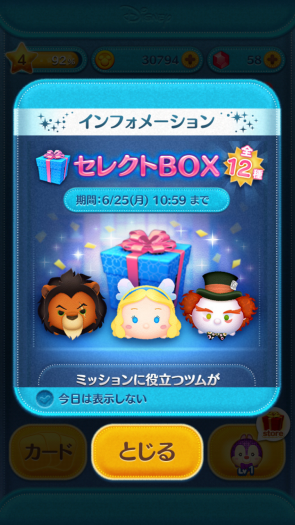 Select Box now in the Disney Tsum Tsum Japan App ’til 6/25! Blue Fairy: The Blue Fairy waves her wand and Tsum Tsum are cleared! Theatrical Mad Hatter: Clears lots of Tsum Tsum from different directions! Scar: Clears a horizontal line of Tsum Tsum. Pirate Clarice: Clears random Tsum Tsum! Lumpy: Clears areas of Tsum Tsum! Hercules: Clears a horizontal line of Tsum Tsum! Young Anna: Clears horizontal line of Tsum Tsum! Randall: All Randall Tsum Tsum dissapear temporarily. Mater: Clears random Tsum Tsum. Prince Charming: Clears a horizontal line of Tsum Tsum! Hiro: Clears horizontal lines of Tsum Tsum! 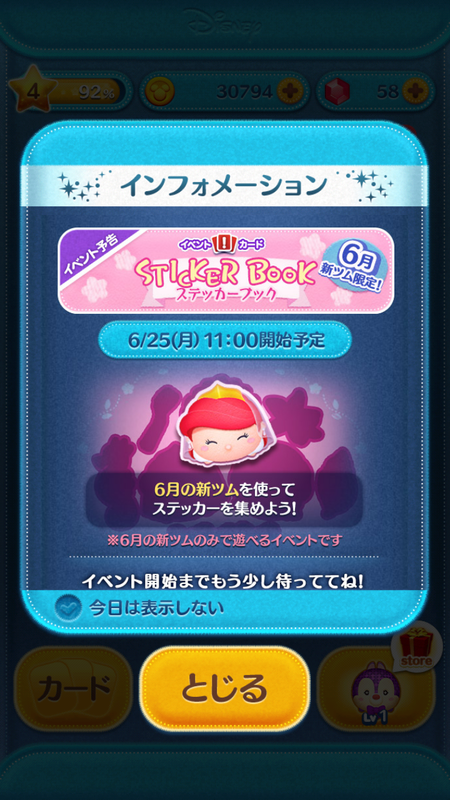 Also, Sticker Book Event happening for June Tsum Tsum ’til 6/25! Select Box now happening in the Disney Tsum Tsum App! Select Box: Round 2 in the Disney Tsum Tsum App! Select Box: Round 3 in the Disney Tsum Tsum App! Select Box: Round 3 in the Disney Tsum Tsum App! New Capsule Box in the Disney Tsum Tsum Japan App! 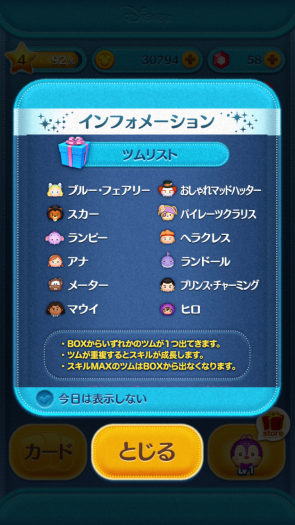 New Select Box in the Disney Tsum Tsum Japan App!